Thanks guys! Yeah slicks and open diff. I wish I could build more boost off the launch but the brakes won’t keep the car from moving when I brake boost. I’ve been able to cut 1.8s in the car before. I feel like it should trap more. I want to go faster but I’m not sure what to do next. Last edited by swedish-rocket; 11-07-2018 at 02:37 AM..
Not sure I'll get time to tune and hit the track, need a FUNCTIONAL wideband and a free weekend, only a few weeks of weeknight runs left for the year. How is my wagon the fastest west coast time for Volvo powered? That's sad. I'm not sure how to say this, because I am a drag racing novice. 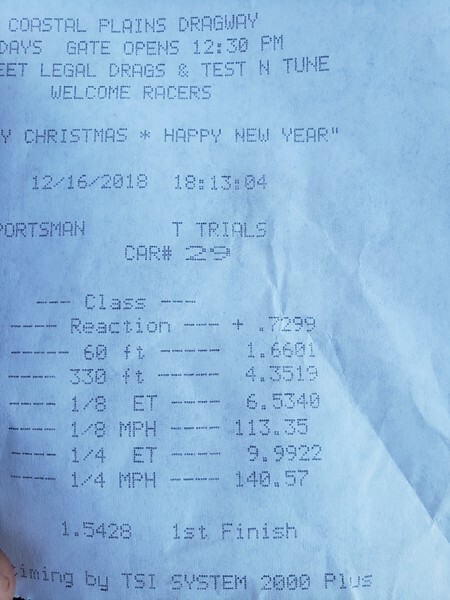 But I was able to pull a couple 1.8-1.9s 60's in my only trip to the drag strip in my 2012 civic si with factory all season rubber. I'm not a particularly good driver, and my eighth mile times were much slower then those posted here. I would also expect our rwd volvo's to be able to launch harder then I could make my civic launch. So, what makes it so hard to get a quick launch in these cars? Btw what is your setup??? Check my build thread. Nothing too extravagant, forged bits, valves, cam, tune, exhaust, IC, boost, nice turbo, injectors/amm. The usual 300hp build. I've managed 2.06 on Potenza's and a 15G, haven't been able to get under 2.0 even with the slicks. Local track doesn't prep worth ****, only other track was PIR and I had a crap tank of 92* and E85 so the car was down a good bit on power so I couldn't stage really hard, but it hooked damn nice. Through an auto... I see your running manual. Nice build! Last edited by swedish-rocket; 11-07-2018 at 08:39 PM.. There are alot of variables in the equation. But large heavy volvos with an AW71 and big laggy turbo are very hard to launch effectively. They don't have any torque until full boost hits a second or two later. 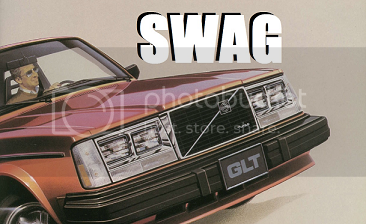 You could probably cut a good 60 foot from a Stock later model turbo Volvo with a mitsubishi 13c. Those can build reasonably quick boost. Not many people are running those here. stock management and stock converter hold you back. one could argue which does what, but the combo together makes it hard to do much. need to see what days the track is open, I think I'll sneak ol blue out there and run a time for the east. maybe drag sam and his black wagon out there too. Your right, I had a TD04HL-15G thenI went to a TD04HL-20T and it took so long to build boost off the launch. I put in a high stall converter and the car launches well again. Swedish-Rocket, Who built your converter? And what rpm are you able to reach against the brakes? I have played that game with aw71 converters too, with mixed results. I never got the stall speed I wanted on the 2 converters i had "modified". --edit. I just watched your drag video. and that car leaves pretty good! it looks like some of the nitrous sprayed launches I have seen on Turbobricks. I've been lucky enough to get off the line around 8psi on the 15g and the Garrett. With a decent tune I can build more on the Garrett, but the brakes can't hold it. The stock 71L stall actually works out pretty well for my own setup, sitting around 2700 at the line, both feet on the brakes and gas. https://m.youtube.com/watch?v=ZUtIIozazwM Here’s another good launch video. I’ll have to hunt down where I bought the torque converter at. It’s a 700rpm over stock. I leave about 3000 rpm. I can build more boost but my brakes won’t hold. I think 8 psi of boost but the car shoots right to the set psi. I guess having a small turbo has its benefits. Torco Enterprise Did the torque converter. I asked for a high stall for a AW72L transmission. That would be wicked! I still don’t have any mph with the car but it would launch like a rocket. at the 40 second mark you can hear it starting to put in work. that's with a stock stall converter, with a looser converter that setup would have been amazing. How was the timing retarded at a specific rpm? Boost control issues now. Tossed a new spark tune in last night, cold temps, good blend in the tank, plus the WG stuck closed it appears. 26psi and a good tune, damn the thing rips. Then the throttle somehow stuck. I don't have enough brakes. Never figured out why was going on, nothing mechanical, but something went awry, suspect maybe a wonky TPS or a stuck IAC. china turbo, camshaft, valvespring gen 3 4.8 with 366k miles on it. 9.99@140.57mph on my final pass of the day!! ding ding ding... Winner, 100pts. Nicely done. what trans and rear axle are powering this Volvo to such amazine speeds? Modded TH350 & converter for the Trans, rear is an 8.8 with 3.27's, powered by a MS3 Gold Box. It is December 31st 2018. This ends your chances to make a pass for the 2018 competition. If you have any timeslips hiding from the last few months please send them my way. I'll add em to the 2018 list if you like. Or wait till tomorrow and submit them for the 2019 Competition. I am impressed! We had some good participation this year. There are lots of v8 powered cars laying down some serious fast ETs. But it's good to see some new and old blood making good runs from modified 4 cylinder Volvos too. They haven't made a redblock Volvo for 20+ years now. But that should stop people from working on these old cars and having fun. They get more respect than ever now.